Eagles Watch - This home is perfect for the first home buyer, those downsizing, or the investor who wants a great rental property. Home warranty included! MLS#21632443. CENTURY 21 Scheetz. Warren Woods - You call it and make it yours. MLS#21633623. eXp Realty, LLC. Havenfair - Schedule your showing today before it's too late! MLS#21635125. Keller Williams Indy Metro NE. Gregorys Hill Place - Investment property with great potential. MLS#21635475. Brick Lane Property Management. Shadeland Village - This is a must see home, come take a look! ! MLS#21635616. Highgarden Real Estate. Audubon Gardens - 3 bed, 2.5 bath tri-level with large yard. 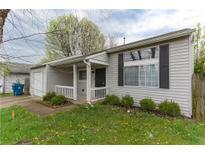 MLS#21635257. CENTURY 21 Scheetz. Don't miss the full basement with plenty of space and unlimited potential. All appliances included! MLS#21635426. Market Street Realty LLC. Easy access to 465, 5 minutes from Irvington shops and restaurants, and close to Pennsy Trail. MLS#21635410. Front Porch Real Estate, LLC. Home is being sold AS IS! MLS#21635668. Heartland Sun Properties LLC. Seller Financing is available. Virtual Tour available as well! MLS#21625992. Alpine Realty, LLC. Devon Woods - Investment property in need of some repairs. MLS#21635500. Brick Lane Property Management. Biltmore Gardens - Great opportunity to add to the portfolio. MLS#21633596. eXp Realty, LLC. Garage on the property and washer/dryer hook ups in the garage. Nice sized yard. MLS#21625993. Alpine Realty, LLC. Several homes around this have been renovated and many more are being worked on currently in this neighborhood. MLS#21635365. Plat Collective. 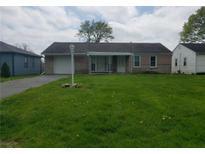 Great 3 bedroom investment property on Indy's southeast side. MLS#21628903. Brick Lane Property Management. Perfect home for your family, great investment opportunity! MLS#21635420. Red Bridge Real Estate. Won't last long at this price! MLS#21635507. 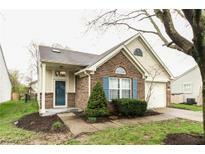 Keller Williams Indy Metro W.
Sargent Woods - Better see this one today! Easy to show. Beautiful area. MLS#21633661. HomeXpert, Ray Stuck & Co..
House sits on two lots. SPECIAL HOME! MLS#21635373. United Real Estate Indpls. Franklin Park - Includes the peace of mind of a one year home warranty. Must see! MLS#21634996. Front Porch Real Estate, LLC. Highlands At Eagle Creek - Close to restaurants, highway and shopping. MLS#21635378. Realty World Indy. Monteo Village - The back yard is a good size for this home. MLS#21635404. 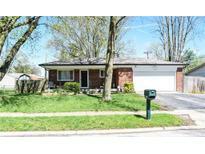 Keller Williams Indy Metro S.
Foothill Farms - Full bricks home with newer roof comes with laminate flooring. MLS#21635405. Keller Williams Indy Metro S.
Huge potential and an excellent opportunity in the perfect location. MLS#21635400. Paradigm Realty Solutions. Hidden Oak - Enjoy outdoor living on the sprawling deck overlooking the wooded lot! MLS#21632654. Flock Realty, Inc..